The U.S. Nave apologized for the ‘irresponsible and immature act’ after a number of people posted photos of the sky drawings on social media. 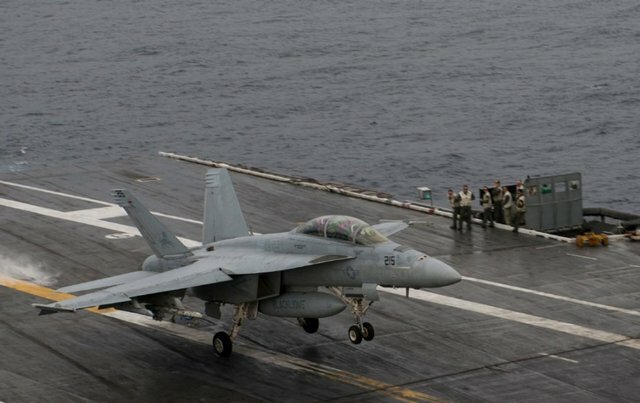 “The Navy apologizes for this irresponsible and immature act, and anyone who was offended by this unacceptable action,” the statement said.The aircraft involved was an E/A-18 Growler assigned to Whidbey Island, the Navy said. The carrier-based plane carries a two-person crew.The plane flew over the small town in a pattern “that left a condensed air trail resembling an obscene image to observers on the ground,” the Navy said.The names of the aircrew were not released.